Flat Stacks, Stack Flat! 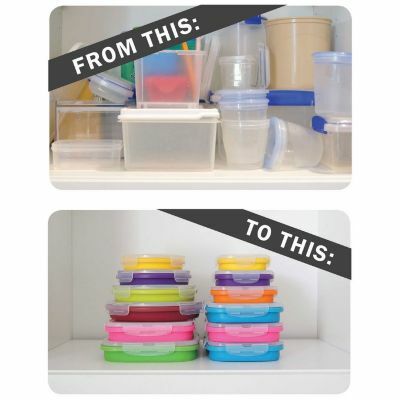 Not only do they stack flat neatly into your cupboards you can use them as two different size containers. These BPA free, food grade silicone containers are fridge/freezer, microwave and dishwasher proof. Colourful and collapsible save up to 60% on your storage solutions today.